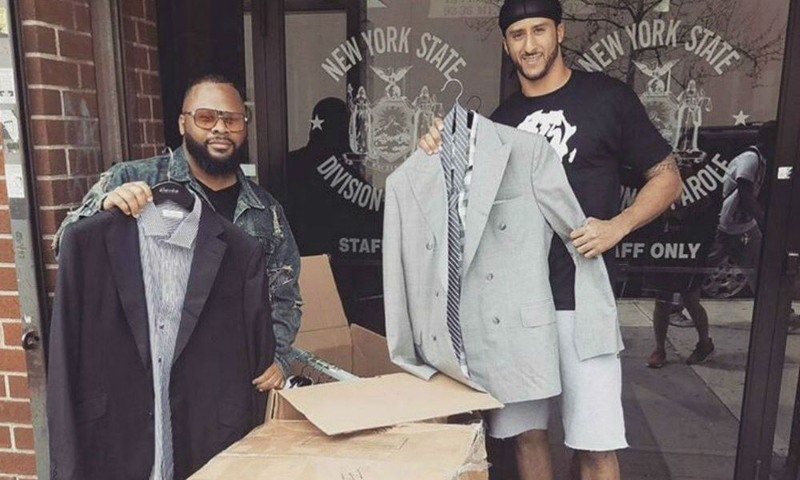 Former NFL quarterback, Colin Kaepernick, was seen outside of a parole office in New York handing out free suits. He partnered up with 100 Suits, an organization that helps former incarcerated or homeless individuals and gang members or survivors of violence with business attire to gain employment. Washington Post says Kaepernick brought two large boxes of custom-made suits as he continues to help the community while he waits to be signed. NFL | 49ers Quarterback Leaves Woman, Who He Met Online, Stranded!